My recent post led to some discussion, mainly in response to my opposition in defining science as methodological naturalism. I think the previous use of the term Natural Philosophy was adequate for the time. It made it clear that it was the study of natural phenomena without the baggage of additional metaphysics that are unnecessary to the practice of science. The subsequent addition of historical science to operational science to encompass all "science" makes short descriptions more difficult. The difference is artificial if there can be evidence for supernatural causation. How... [can] we know if God made a house? This is putting the cart before the horse. One cannot argue philosophically that God does not exist thus he cannot make anything thus nothing is made by God. One can argue philosophically the case for and against God, but if there is empirical evidence otherwise, that must be taken into consideration. To ask what such evidence is for God, but deny that evidence is even possible within one's philosophy is disingenuous. If God exists and he made man, and is at least as capable as man then he can make anything man can make. It does not matter whether or not we can identify a particular object is made by God, the fact is this is theoretically possible. And a definition that excludes God from producing something when it possible that he could, and thus God didn't, even if he did, is fallacious. I think there is reason to think that God made some objects. But definitive evidence, or even any evidence, that God made something is not necessary to allow that possibility. We allow for that possibility in other situations, such as an unknown culture, or the search for extra-terrestrial intelligence. It must be recognised that we are looking at effects, thus inferring the source. Extensive knowledge, or any knowledge, about the source is not required beforehand. It is in studying the effect that we theorise about the source. Choosing one's terms and labels may be an effective rhetorical technique; albeit frequently a dishonest one. Here are few examples that I find irritating. I have concerns with terms used on both sides of this debate, but this the more insidious. It is describing the issue in terms of freedom, but opponents to abortion are by no means anti-freedom. They see the issue as one of murder. I don't hear "pro-choice" people advocating for the freedom of men to murder adults, or steal property. The pro-freedom position is reasonably described as libertarian. It is true many libertarians are "pro-choice" but this is not universal with some libertarians arguing against abortion. More relevant however is the position "pro-choice" people take otherwise, and this is commonly a socialist leaning position, hardly a paragon of choice or freedom. I would not be surprised to learn that opponents of abortion have a stronger commitment to choice outside the abortion debate. I don't particularly like the term "pro-life" either. The debate is about whether a fetus is living in a sense that confers the fetus natural rights. Although I hold this position, many abortion advocates disagree with it. As such they could argue they are pro-life and consistent by opposing capital punishment. I think it preferable to use accurate unloaded terms such as "pro-abortion" and "anti-abortion." Science does not need to be defined this way and historically it was not. While it may seem somewhat reasonable on the surface, it fails on 2 counts. The meaning and reason for the term "methodological naturalism" is that one can not invoke the supernatural as an explanation, rather science seeks natural explanations for various phenomena. Given that operational science was invented by supernaturalists whose concept of God (immutable) gave them reason to think the world was orderly and thus amenable to repeated observation with an expectation of identical findings, it is uncertain why a definition using "naturalism" needs to be invoked centuries later. It fails because it does not apply to historical science which has no such non-supernatural limitations yet historical science is considered part of the broader concept of science. And it fails because it contains a philosophical term: Naturalism has a range of claims which are not derived from science, nor does science intrinsically favour naturalism. Such a term can lead to the claim that science has disproved God. But analysis of this claim will show it to be circular. God is excluded by definition, and any thesis sans God is deemed "scientifically" preferable, even if untrue. There is debate about how to best translate various Greek words into English in Bible translation. Does one translate masculine pronouns such as "he" inclusively or specifically? Does the Greek word anthropos mean "person" or "man" with generic connotations at times? I do not intend to discuss the merits of both arguments, just note that the inclusive school uses the term "gender accurate" to describe their theory. They argue that an inclusive view is intended by biblical authors, thus improved accuracy. One problem is that the term "accurate" is more synonymous with "precision" than "intention". The other problem, of course, is that the debate is around which translation theory is the most accurate. Using a term as part of your definition, then claiming something is thus, by definition—often implicitly—resolves nothing. The reason this annoys me is that the terms are deliberately chosen. Their inventors are not so much trying to frame the debate as circumvent it. I find it disingenuous. This is not to suggest choosing various terms is intrinsically dishonest. If a different term brings clarity, or is neutral, or both, then it may be preferable. Sometimes one should consider terms used by his opponents. While the adoption of labels from the opposition is not compulsory, they may sometimes be accurate. Another option is to use historical terms. Mike T brings my attention to the incompletely documented creatures called ropens. Several eye-witness accounts describe featherless flying creatures that perch upright on trees on the islands of Papua New Guinea. Around Manus Island, the wingspan is three to four feet, according to Jim Blume, a missionary in Wau, on the mainland. Blume’s investigations indicate that wingspans may reach ten to fifteen feet in other areas. Whitcomb’s book mentions a few ropens that are even larger, including the ones seen by Hodgkinson and the Australian couple. I am familiar with a variety of sightings of reptiles that are otherwise thought to be extinct, such as the bunjip. But I had not heard about ropens. The description seems to be of a pterosaur. What I found particularly interesting about these sightings was the mention of lights on the animals. Two natives described a ropen holding itself upright on a tree trunk (fruit bats hang upside down from branches), and his book also describes an apparently bioluminescent glow that may help the nocturnal creatures catch fish. I am not aware that palaeontologists propose bioluminescence in pterosaurs. However previous eye-witnesses have suggested something similar. In his book After the Flood, Bill Cooper quotes Marie Trevelyan's book Folk-Lore and Folk Stories of Wales, published in 1909. The woods around Penllin Castle, Glamorgan, had the reputation of being frequented by winged serpents, and these were the terror of old and young alike. An aged inhabitant of Penllyne, who died a few years ago, said that in his boyhood the winged serpents were described as very beautiful. They were coiled when in repose, and "looked as if they were covered with jewels of all sorts. Some of them had crests sparkling with all the colours of the rainbow". When disturbed they glided swiftly, "sparkling all over," to their hiding places. When angry, they "flew over people's heads, with outspread wings, bright, and sometimes with eyes too, like the feathers in a peacock's tail". He said it was "no old story invented to frighten children", but a real fact. His father and uncle had killed some of them, for they were as bad as foxes for poultry. The old man attributed the extinction of the winged serpents to the fact that they were "terrors in the farmyards and coverts" (emphasis mine). The Welsh description may be iridescence rather than luminescence, but I think the parallel striking. While I know too little about the Papua New Guinea story to vouch for its veracity, the lack of communication between Welsh and New Guinean witnesses concerning a pterosaur trait not otherwise recognised does give one pause. Message theory has been variously defined in terms of how we recognise design, what information means, and how information can be measured. German engineer Werner Gitt identifies 5 levels of information. I understand the choice of the term "statistics" though I think a preferable term would be something like "storage," or perhaps "transmission quantity" (as storage media may be redundant). The level of statistics is concerned with the possible options for each symbol and the number of symbols contained in the text block of interest. The number of symbols for binary are 2: 0,1. For English we have 27: letters and word space (punctuation and numbers excluded). For DNA we have 4: A, T, G, C.
Shannon's theory of information does analysis at this level. This level is completely devoid of any meaning, and Shannon may give higher values to messages with zero actual meaning, such as random numbers, than to meaningful statements. Syntax is the choice of code. A deliberate, though arbitrary, convention of what groups of symbols mean. In English "cat" has meaning, but "ith" does not. And "come" has meaning in English and Italian, but not the same meaning. DNA at the gene level has the convention of codons; groups of 3 nucleotides such as CAC which codes for valine. Semantics are at the level of communicating ideas. The code itself does not communicate ideas. We need words but we talk in sentences. It is at this level we have meaning. Further, it is at this level meaning is invariant. We could communicate the same idea in a different language which would use a different code (syntax) and result in different storage requirements (statistics). It is at this level (at least) that information (meaning) needs to be considered when discussing gain and loss of information. Gitt gives a useful illustration of semantics. A: The bird singed the song. B: The green freedom prosecuted the cerebrating house. Sentence B is perfectly correct syntactically, but is semantically meaningless. In contrast, the semantics of sentence A is acceptable, but its syntax is erroneous. Pragmatics is about action based on the ideas. And apobetics is about the purpose for the action. Is important to note that much work has been done at the level of statistics. This is probably largely a result of the computer revolution; though possibly partly because this is the easiest level to define and analyse. But statistics does not discriminate meaning from non-meaning. Information technology is a useful term. We store information and transfer it, all of which is helpful in understanding the information is not matter. However the association with storage capacity means that people may think in terms of size—number of bits—not the nature of what is stored. This is somewhat analogous to talking about fuel tank capacity. Vehicles need energy to travel and all things being equal a larger fuel tank will supply more energy. But the issue here is energy. 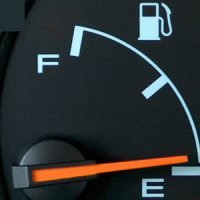 If one focuses on fuel tank size he can forget that it matters what is in the fuel tank. Different grades of gasoline contain different amounts of energy, and the same is true for other fuels such as methanol, ethanol, and coal. One can even fill a tank with substances that contain no energy such as sand or water (fusion disregarded). And other forms of energy such as electricity do not even require a petrol tank. So while fuel tank size can be a proxy for energy, it may be inadequate, or even inappropriate. One must remember that it is energy that is being discussed. My recent post on information led to a call for a precise definition of what is meant by information. This request is eminently reasonable. I have yet to give an exact mathematical definition, or even an exact philosophical one. The reason is that "information" has a variety of meanings to different people; and the association with computing and information technology colours people's thinking. Consider gravity. My understanding is that ideas about gravity around the time of Bacon, Galileo, Kepler, and Newton changed the way people thought about motion. Prior to then it was obvious that objects fell to the ground, but the Aristotelian rationale for such motion was that (some) objects tend toward the centre of the earth. And observations would support this claim. Post-Aristotelian physics described the same phenomena, but for a different reason: massive objects attract each other. The stone moves toward the earth, and the earth moves toward the stone; but the earth imperceptibly because of its immense size. Same observation (as much as perceptible) but different explanation. The old theorem explains pendulums better. 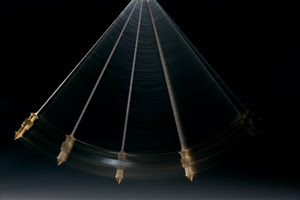 Pendulums tend to the centre of the earth so they stop after a time, not doing so immediately because the weight is moving when it gets to the lowest point. Newton's theory needs friction to explain the same observation; one could argue Newton is less parsimonious. However Newton was shown correct over time. And his theory was well defined, gave predictions, and was generalisable to the heavens. My diversion was to highlight that the differences between the two approaches did not require them to be rigorously defined. The mass-attraction concepts antedated the maths by a significant amount of time; Newton had to invent maths for his theory! But a philosophical discussion on the merits of objects tending to the centre of the earth versus objects attracting is still very possible. Similarly, it is possible to discuss other topics in general before rigour is attained, including information. Information is a non-material concept that contains instructions thru language. I use the term instruction somewhat broadly including being informed, not just commanded. That is, meaning of some form exists. The good man will do what he perceives as right, without reference to the laws on the books. The evil man will do what he wants, without reference to the laws on the books. It is the morally ambivalent man—the one who calculates the gratification he could get versus the chance of being caught and punished—who refers to the law. For him, that which is not illegal is also not immoral.